Have you ever found yourself in a situation where, after spending a great deal of effort editing a blog post, something happens and you suddenly find that all of your hard work is lost because you didn’t hit the ‘Save’ button as you went along? Lets you restore an earlier draft if you’ve changed the content in your article. This step-by-step tutorial explains how to use the WordPress autosave and revision feature to automatically restore content in your pages and posts. When you see the message “Are you sure you want to do this? Please try again” displayed and click on ‘Please try again’, you will normally go back to a screen displaying an older version of your post, minus any changes that you recently made. This is where ’autosave’ can really save you time. The autosave function is automatically enabled for all WordPress pages and posts, but this does not overwrite any published content. By default, posts are autosaved to your database every 60 seconds. This time interval can be changed by modifying code in your wp-config.php file. We recommend making a complete backup of your data and files before modifying important website files. If you don’t feel comfortable editing files inside your web server, feel free to contact us. We’ll be glad to assist you. WordPress also warns you if the backup of the post you are currently looking at is different from the version you see in the content editor and gives you the opportunity to restore the autosaved version. The Post Revisions feature was introduced to WordPress in v. 2.6. Whenever a post or a page is saved in WordPress, a revision is automatically created and stored in the WP database. Significant enhancements were made to the post revision control system after WP 3.6. Note: The revision control feature is available on Posts and Pages. As mentioned earlier, there are some changes you can make to the WordPress revisions feature such as changing the autosave interval or even disabling the feature altogether, but these typically require modifying code in core files. If you feel worried about editing files inside your web server, then contact your web host or get professional assistance. Let’s focus, then, on some additional aspects of WordPress post revisions that don’t require editing code. Autosave and post revisions are no doubt functions that help create a more effective workflow. If you write or edit a lot of content, however, the number of revisions can start to build up. This can significantly grow the size of your WordPress database, so it’s important to be able to manage your revisions. For example, if there are 200 posts on your site with an average of 10 revisions each your WordPress database could be storing around 3,000 copies of old data. If your post is approximately 100KB data, then with 3,000 revisions of that post, the total space wasted is about 300MB. 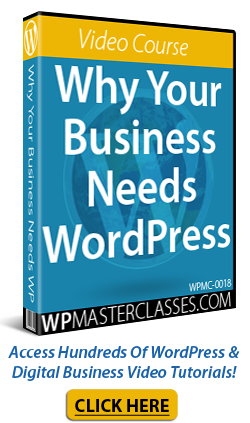 The good news is that there are various WordPress plugins available to help you control and manage your revisions and reduce the size of your WordPress database. Congratulations, now you know how to use the WordPress Revisions feature to restore earlier saved post revisions.